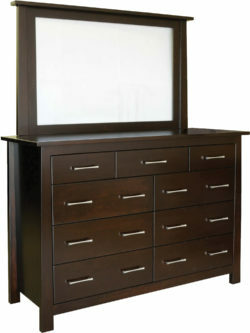 Dressers are a great alternative or addition to closet storage. 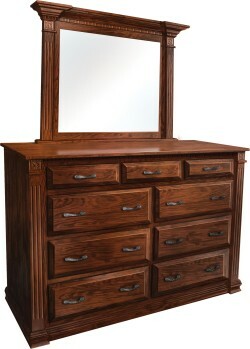 Dressers from Amish Originals are handcrafted by Ohio’s Amish craftsmen and come in a variety of styles and sizes. 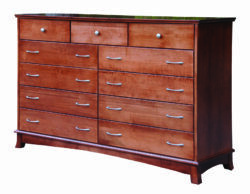 Many of our dressers are part of larger bedroom collections and are designed to coordinate with the style of other beds and nightstands, but they also work well as individual pieces tied into your existing bedroom furniture. 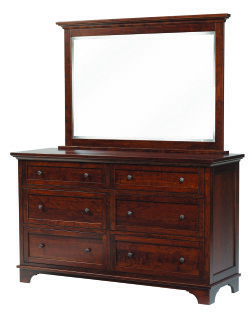 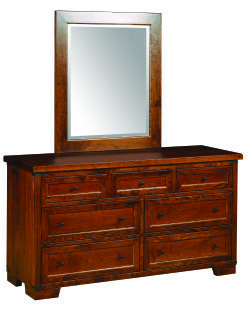 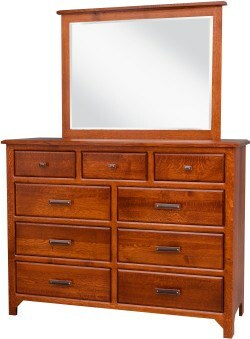 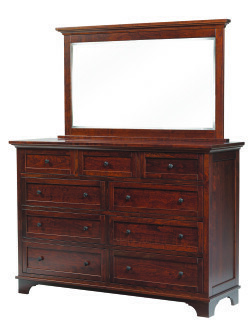 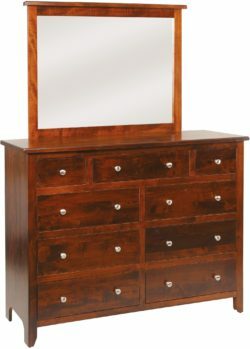 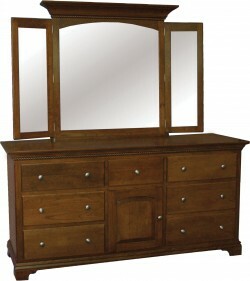 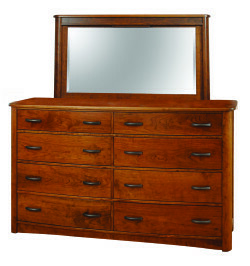 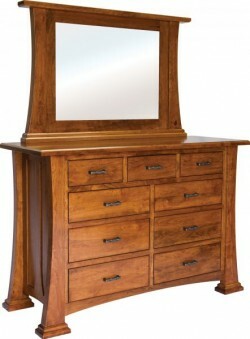 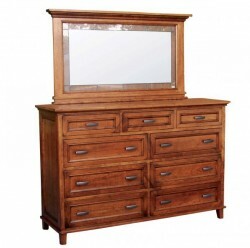 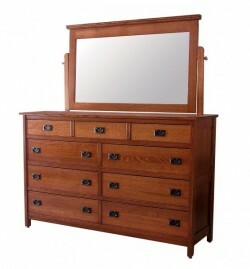 From ultra rustic to sleek and classic, we have a dresser to fit your personal style. 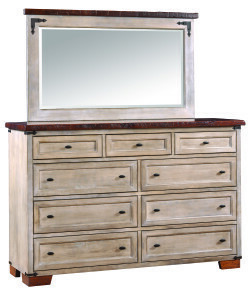 Create a warm and cozy farmhouse feel with one of our rustic Cherry dressers, or a light and polished spa-like space with a more sleek and lighter finished dresser. 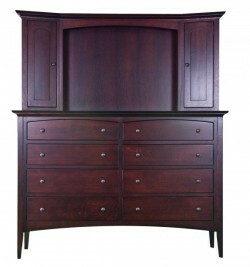 Choose from various sizes depending on your need for storage space. 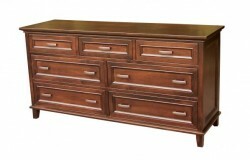 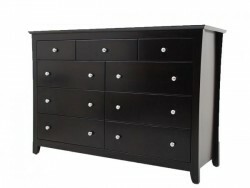 Our dressers provide a nice mix of larger drawers for bulky clothing and smaller drawers for accessories and undergarments. 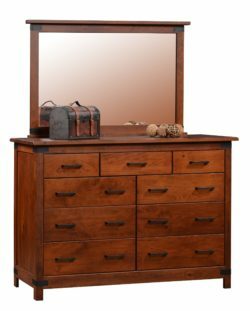 Handcrafted dressers are available in multiple wood types including Brown Maple, Oak, Quarter Sawn White Oak, Cherry, and Rustic Cherry. 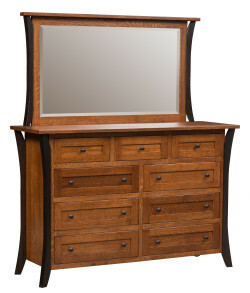 Unlike commercially manufactured furniture, our pieces are made specifically for you, giving them an extra personal touch. 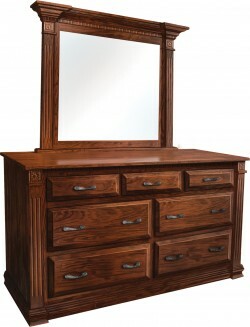 Contact us today to request a quote on a dresser. 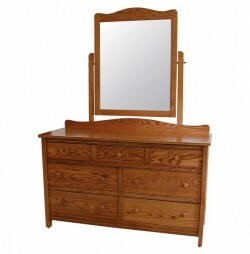 Shown in Cherry with optional mirror. 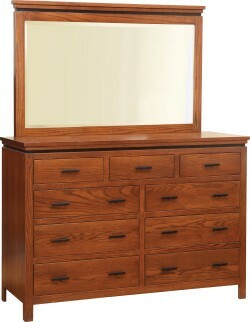 Shown in Quarter Sawn White Oak with optional angled dresser hutch. 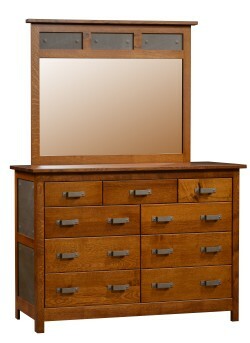 Shown in Oak with optional mirror.